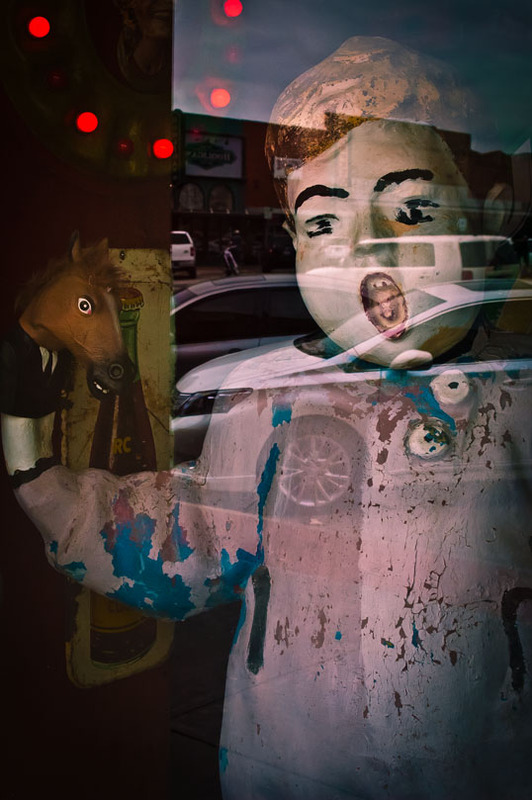 This entry was posted in Photography and tagged antique, creepy, denton, doll, reflection, scary, still life, store, strange, street photograph, street photography, Texas, window. Bookmark the permalink. I love the story The Yellow Wallpaper. And your image is indeed appropriate and eerily creepy. What fun! Thanks, The Yellow Wallpaper is a subtle masterpiece – an important work of literature. What you said is so true. More out there than the things you listed. And I’m so glad. BTW: I love unusual, unique, creepy stuff. Artwork, movies, books, stories, etc., that fall into that category. Hahaha… Indeed, that is a scary thought. Good read… Excellent layered shot, you took it yourself?